Feeling stuck with your online business? Tired of feeling overwhelmed and underachieving? Looking for 1-1 help but don't want to commit to high priced coaching? 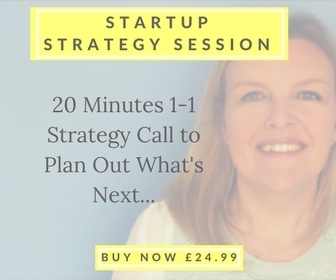 Once you've signed up, you'll be able to book a 20 minute Strategy Call. We'll chat about that one thing that you're really struggling with right now and find the right strategy for you to overcome it. You see, I'm a big believer that one size doesn't fit all. Within 48 hours of our session, I'll send you a full recording of the call along with a written action plan that you can use to move forwards and start seeing the results you desire. This is the perfect option for you if you really want that 1-1 attention for your business, but don't want to commit to a high priced coaching package. Ready to book your Startup Strategy Session?